TheRustedChain - The Blog: 10 things that can go buh-bye. 10 things that can go buh-bye. This world would be fine without them. 1. 70's rock radio stations. Ugh. 2. Pom poms. I know every crafter in the world disagrees with me here. It just screams "homemade", to me. It's an ongoing arguement between me and Julie. One day I sarcastically said, "If only there were rainbow colored pom poms, my life would be complete." And she promptly sent me pictures of rainbow pom poms. And I clawed my eyes out. 3. Jumpy irratic critters. The ones where you don't know where they're going to go next, like grasshoppers, june bugs or mice. ACK!! 5. Soft focus blurry photos. Glamour shots did it, and it really needs to stay in the 90's. 6. White chocolate. It's not even chocolate. It's just a wannabe. 8. Mullets. Mmmhmmm... "fool's tails" could also fall in this category. 9. Cilantro. Sorry lovers. I'm a hater. 10. Dial up internet. Seriously, in this day of twitter, facebook, blogging, tumblr, and everything else, who has time to wait 5 minutes to load a page? You can disagree with me. It's okay, really. Or you can add to my list. I say no more skinny jeans. I came by way of Angie's blog. You are funny!!! Definitely SKINNY JEANS and teased hair, funny shaved poodle's (that makes me want to claw my eyes out! ), and the 800 times they play "FELIZ NAVIDAD" during the holidays. Aw come on! I love 70s rock and white chocolate both! The rest of your list is pretty on target. I'd like to add war and greed and intolerance. Or just intolerance and greed because maybe eliminating them would eliminate war. I'd also like to add my muffin top to the list along with the tight around the belly T-shirts and low rise jeans that only act to frame it. And Ke$ha. Definitely Ke$ha. I love '70s music! Yes, there were some stinkers, but as a whole it's a lot better than the pop/rock music of the last 30 years. But I can agree on most of the others. Especially white chocolate. It's not chocolate and it's nasty. I like '70s music, cilantro (but then, I'm a Cali girl) and white chocolate macadamia nut cookies could never be replaced with semi-sweet chocolate mac nut cookies. There's no way. I could live without the Feliz Navidad song for sure! Cali girl or not. I have to agree on all counts, except I do like "some" 70s songs although not enough to listen to a station-full. I'd also like to say adios to humidity; thanks to summers in the South. I'd have to agree with 4 1/2 of those. I absolutely agree with the white chocolate...do people really think it tastes like chocolate? But I have to disagree with the cilantro. I'm latina and it's in my blood. I just love it. I need to add Hannah Montana to that list. I can't take her anymore! I'm just glad my daughter didn't get all wrapped up in her media quicksand. Pom poms! Pom poms! Pom poms! Cilantro! Cliantro! Cliantro! There is no such thing as too much. I just had a salad for lunch and used cilantro instead of lettuce. You heard me. All cilantro. No lame lettuce. Bring it. love this list! not saying your choices are all my choices...just love the idea of this list! We live in the middle of nowhere. No DSL available. It is temporary housing, so I won't commit to 2 years with a satellite internet company. This leaves me with one lousy option. Dial up. It is MUCH slower than you remember. Much. It kills me. I bought an iPhone to help cope. you are hilarious!! Thanks for making me smile!! i would like to add humidity to the list. and rompers on grown women. You should have put a picture of a pom pom because I don't know what it is. I too do not like grasshoppers or june bugs. Yuck. Or mean people. I do, however, LOVE white chocolate. Yum! All but #1 and #9 for me! Brilliant! ^_^ Down with the others! Yeah, I'm not a fan of cilantro either. Blech. The rest of the stuff? Yeah, most of it can go, too. See how easy I am? this post cracked me up!!! we're so on the same page. literally, each one i nodded and was like... "yep, i could do without that ever"
But we could do without spam and telamarketers!!! I live in my skinny jeans. And can't get enough cilantro. But the rest can go. My jury is still out on poms...cause i haven't tried to make them yet. If they are freakishly easy and cheap...I might vote to keep. If I never ever EVER saw another ant EVER...that would be just fine too. you and me? we could best IRL friends!! i agree mom. but 3 and 6 need to stay. what is cilantro??? Don't know how I missed this F.Friday post. Kind of agree with your list. I still love white chocolate even though it is a wannabe. It should just be renamed and kept. I pretty much agree with the rest. 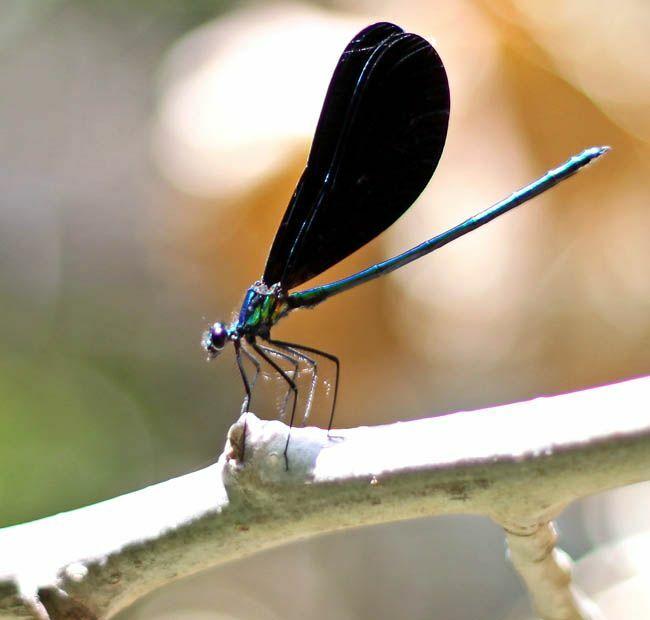 BTW, that's actually a damselfly instead of a dragonfly. The damsel's have two wings instead of four.